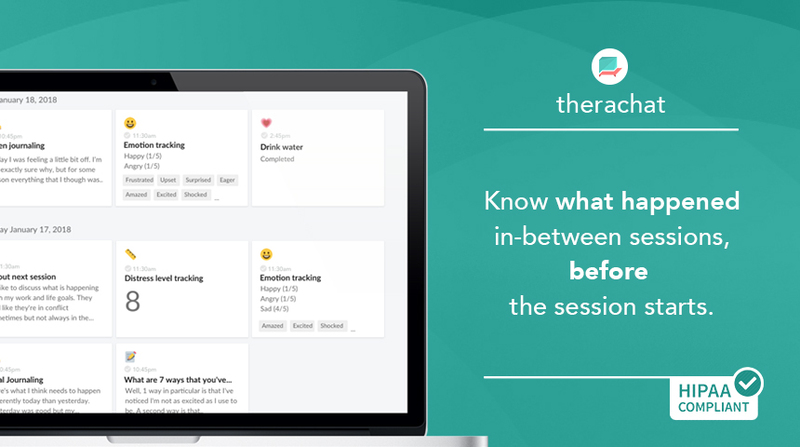 You are here: Home / Therachat Updates / Introducing the Client Timeline – What Has Your Client Experienced In-between Sessions? Welcome to the making of the Client Timeline: or how we designed a place for you to catch up on the activity of your clients in the blink of an eye. When we talk to therapists, one common theme always stands out: the lack of time. Most notably a lack of time to prepare for individual sessions throughout the day. We found out therapists usually have about 5-10 minutes between their therapy sessions. We wondered, within that short timeframe, how can we help therapists be more informed about what their clients have been experiencing throughout the week? With Therachat, clinicians can send a range of premade and custom activities to their clients. From journaling to tracking exercises and session feedback, many of these activities have different types of results. The mix of result-types left us with a concrete problem: How can we create a quick overview that also allows therapists to dive into the details of these varied responses? We spent a lot of time whiteboarding the different ideas we had to solve these problems. A lot of those ideas didn’t make it to testing because we knew they weren’t going to save therapists time between sessions, they were too confusing, or they didn’t make the most crucial client information visible. After a lot of head-scratching, we settled on 3 designs to move forward with, including the Client Timeline. 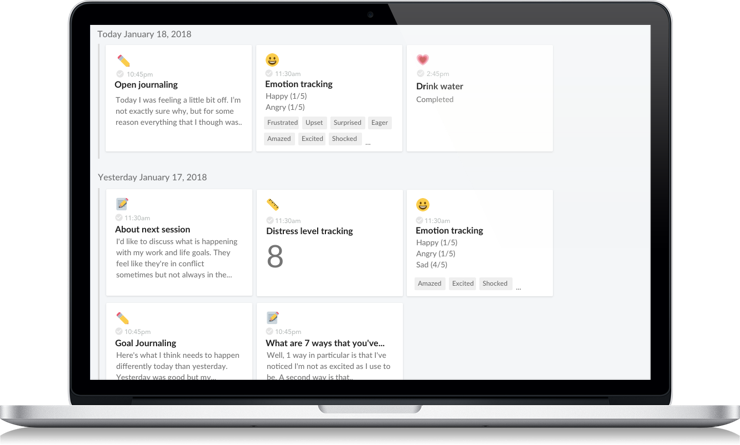 When we launch big features, we want to make sure we’re building things that help therapists and don’t add more work to their already busy lives. The only way to know we’re successful in this mission is by visualizing our ideas and testing them with therapists. This is exactly what we did. We have an idea that we’ve been thinking about for a long time and it’s our ultimate dream: what if we could bubble-up important client information automatically? We could let our algorithms filter out the most important nuggets and present them to therapists so that they don’t have to spend time going through all the data. Another big plus of this approach is that computers are more reliable in spotting patterns than humans. This objectivity could, in turn, lead to therapists providing more objective care. What if clinicians could get an overview of how compliant their clients were and could use this information as a starting point to explore detailed responses? 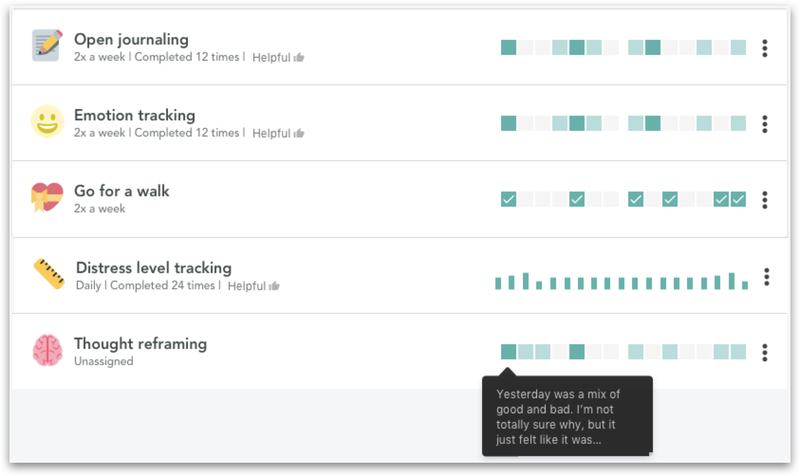 Feedback: This view was too confusing for some of our testers and didn’t immediately give actionable information. We were very intrigued by the idea of showing all information in one visualization that also shows how a client is progressing. This view would show the tracking scores (distress & sentiment) combined with all the other activities a client finished throughout the week. Feedback: While the idea of a standard timeline was interesting to many, combining all types of information into a single chart was often overwhelming. With all the information we collected, we optimized the version that was most helpful to therapists and arrived at the final version of the client timeline, ready to be thrown into the world. 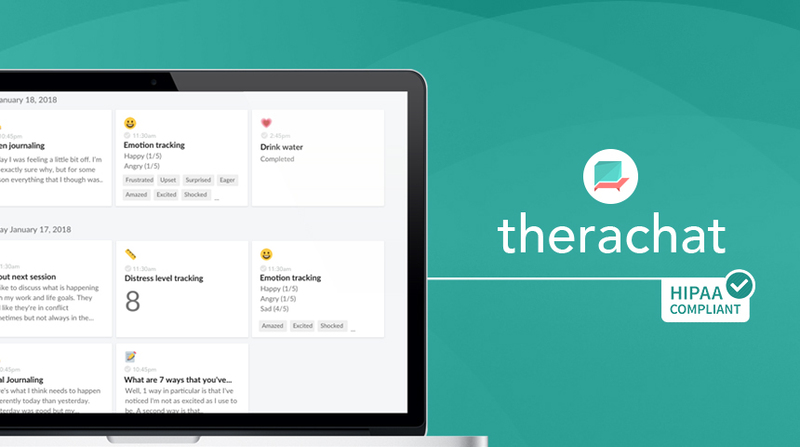 Therachat is an online, fully HIPAA-compliant tool to engage your clients outside of session and improve outcomes. Start a 14 day free trial (no credit card required) or learn more here.